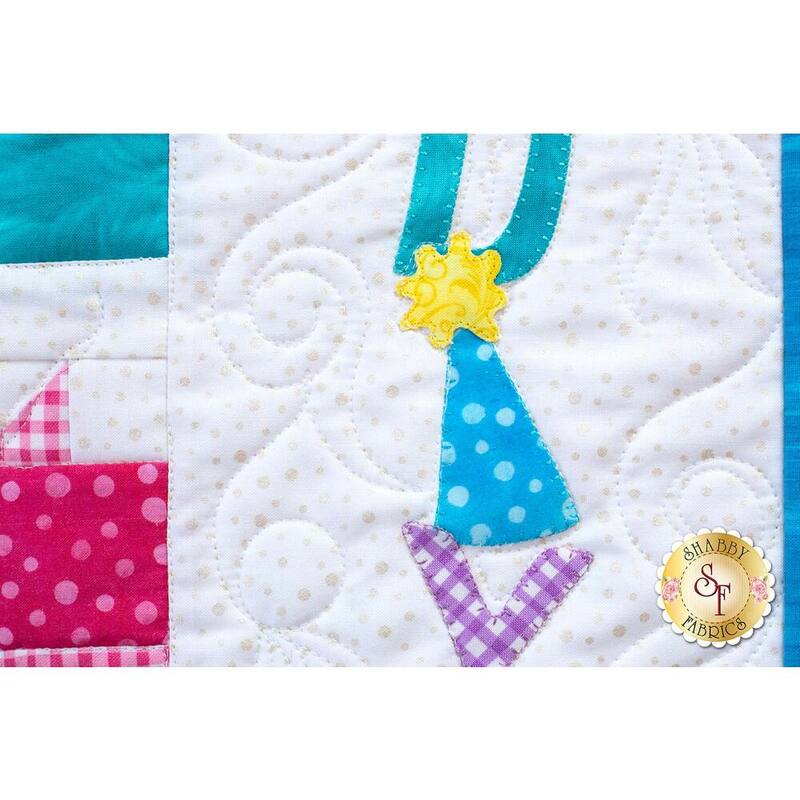 Bright colors and darling gift shaped blocks make this fun Happy Birthday Wall Hanging a must have for your next birthday celebration! 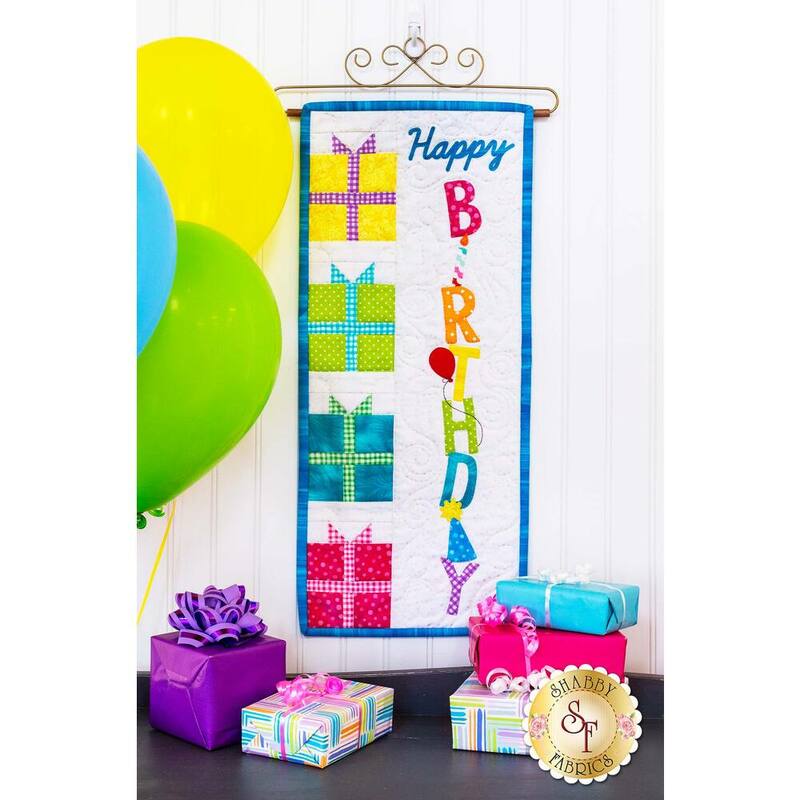 This vibrant wall hanging is ready to add a festive touch to your family celebrations year after year! 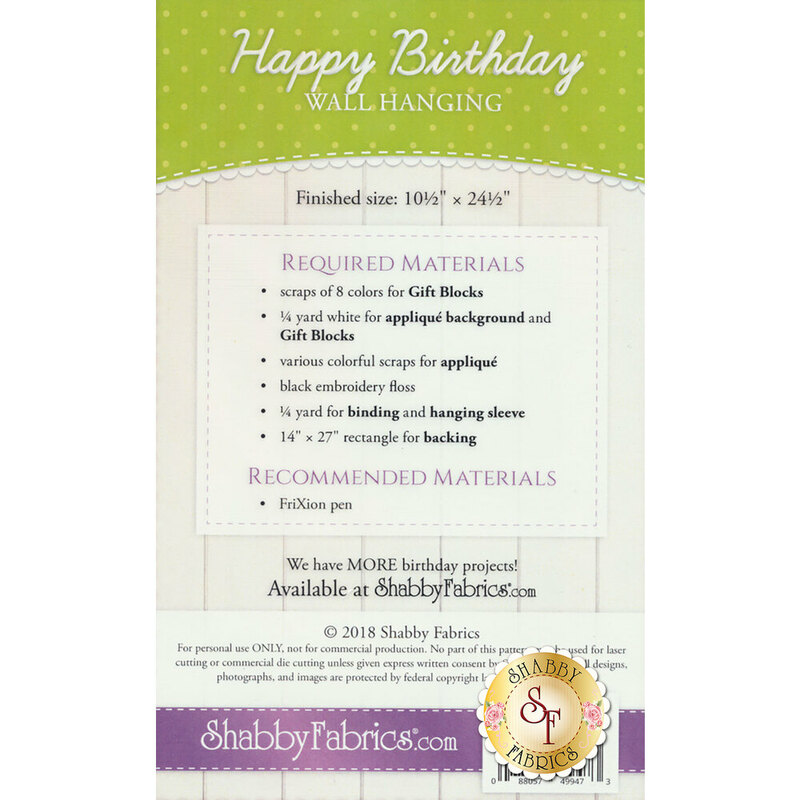 Decorate with the coordinating Cupcake Placemats Kit, Cupcake Wall Hanging Kit, Happy Birthday Pennant Banner Kit, Patchwork Birthday Table Runner Kit, and Happy Birthday Pillow Kit! 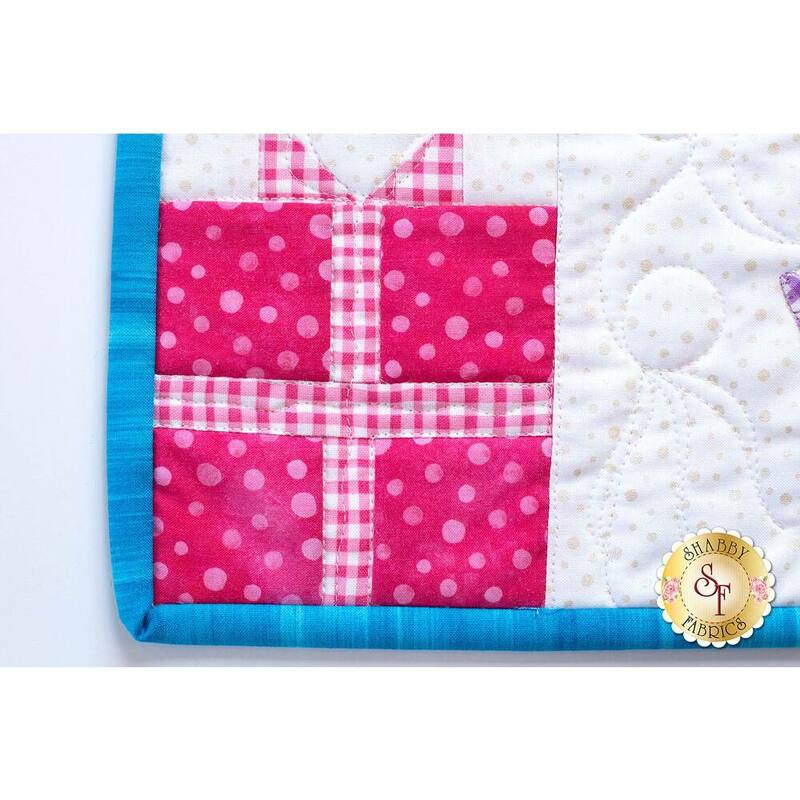 Add the Creative Grids 4½" x 8½" Ruler for precise measuring!